Designed by Carolyn Kinder International, the Stag Horn Lamp has a burnished bone ivory finish with a crackled wood tone base and cast aluminum accents. The rectangle, semi-drum shade is a sueded, chocolate fabric. Available to trade professionals at Uttermost.com. 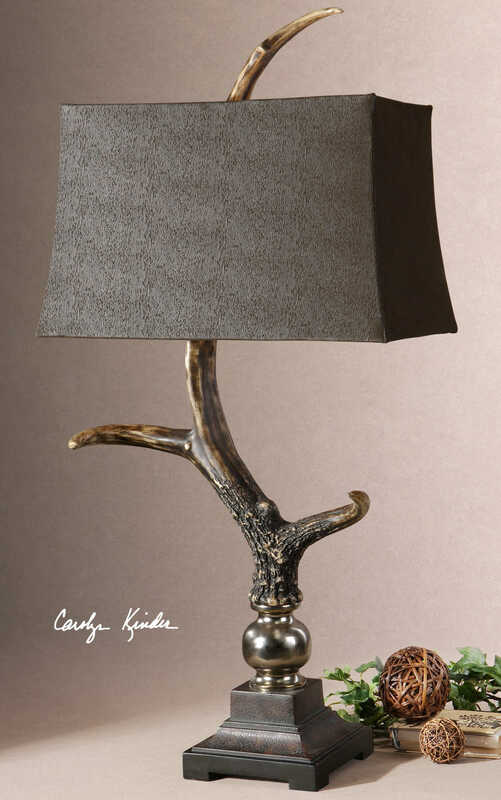 For retail purchase Google keyword “Carolyn Kinder Stag Horn Lamp”.